Set in an America on the precipice of collapse, this novel follows Della, a waitress who becomes increasingly obsessed with the bombs going off throughout the industrial northwestern city she lives in. On a whim she calls in a bomb threat, which sparks a fiery plot beyond her control. 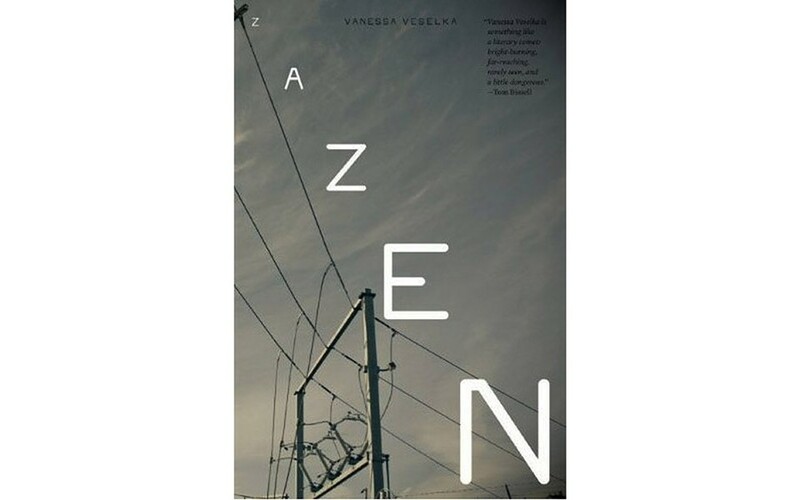 Della's inner turmoil is echoed in the fractured dislocation of Veselka's descriptive prose, and the novel, like its main character, walks an ambiguous line between destructive alienation and redemptive community. Rucker grew up wanting to be a beat writer, but got waylaid into an academic career in math and computer science, writing popular works on infinity and the fourth dimension. He never denies his gonzo creative side though, and eventually develops his own autobiographical brand of science fiction he calls Transrealism. Rucker's led a life that's artfully balanced the domestic and the adventurous, the rational and the transcendent, and this hilariously honest, big-hearted memoir makes you happy you came along for the ride. Over the span of several decades, Denise Kranis serves as audience and witness to her brother Nik and his private musical mythology, a fantastic discography than includes his own invented criticism of the several bands he's created. Spiotta writes with the razor precision of Don DeLillo, but is more attuned to the frailties of the human heart. A sad and haunting novel about memory, mortality and how the dreams of youth drift and fade into middle age. A tale of connections missed and made, paths not taken, and how the force of childhood trauma takes its toll through time. Jaime Hernandez brings his character Maggie back in touch with her old flame Ray, and in the process tells a subtle story that gains resonance by flashing back and forth chronologically. The story told in this graphic novel is the culmination and the pinnacle of his three decades of work, and is as emotionally affecting as it is visually stunning. From 1968-1975 Ellen Willis was the first pop music critic for The New Yorker. This collection of her work is a revelation. From her first major piece, an acute 1967 examination of Bob Dylan, Willis had the rare gift of seeing through the artifice and hype of rock music while staying passionately invested in its energy and expression. Sensitive to sexual politics and the social aspects of rock, she challenged both the sexist boys club of rock fans and her feminist allies. A book that rescues a major cultural voice from oblivion.